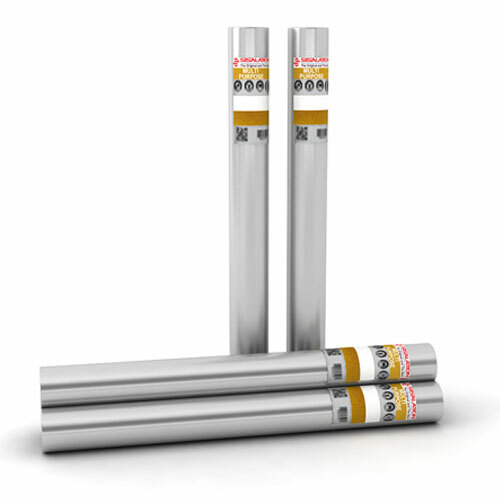 Sarking is a flexible insulation that contains an aluminium foil lining. The foil lining is adhered to the backing sheet which is usually either a paper or plastic reinforcing mesh. Sarking is used as a lining under both tile and metal roofs to help insulate your home from the scorching heat of summer and helps to insulate during the colder winter months. Sarking not only acts as an insulation membrane, it is also a great way to protect your home from strong driven rain and dust. 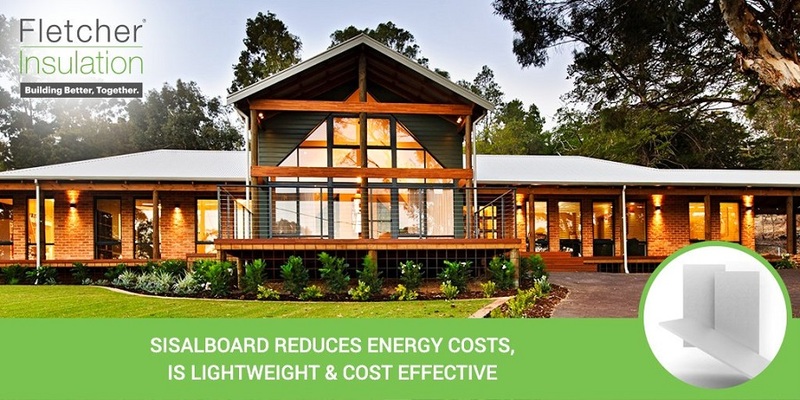 It also helps to prevent ember attack during bushfire season and has excellent thermal properties that retain the warmth during winter and can help to reflect up to 95% of the sun’s radiant heat from your roof space. Fletcher Sisalation® Tile Roof Sarking is a strong, tear resistant pliable building membrane designed for use as sarking under concrete and terracotta tile roofs (with the exception of slate). Protects homes and buildings against radiant heat. When installed adjacent to an air cavity, Sisalation® Tile Roof contributes to the overall Total R-value of a building; thereby providing increased comfort to building occupants. Provides resistance to puncturing and tearing during installation of roof tiles which can result in rain ingress, particularly if the roof tiles become cracked or damaged. Provides protection against moisture content fluctuation of timber trusses, thus minimising the chance of nail plate pull-out. When sealed, protects the building frame by minimising the amount of rain and dust the wind blows into the roof. Fletcher Sisalation® Metal Roof Sarking is a strong, reinforced pliable building membrane designed for use as sarking under residential and commercial metal roofs. Sisalation® Tuff Wrap Sarking from Fletcher is a renowned reflective wall wrap membrane designed to protect homes and buildings against radiant heat. 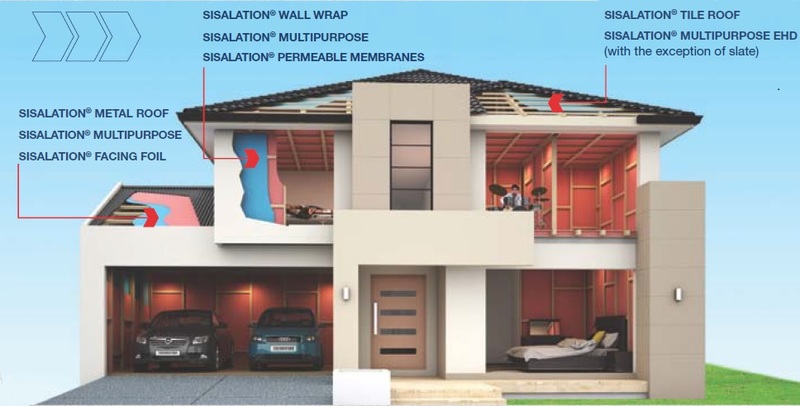 When installed adjacent to an air cavity, Sisalation® Tuff Wrap contributes to the overall Total R-value of a building; thereby providing increased comfort to building occupants. Acts as an effective secondary skin to your home or building to minimise draughts, within wall cavities thereby allowing bulk wall insulation to perform more effectively. Allows internal building works to commence once the roof has been installed; thereby allowing for expedited project completion. Suitable for use in bushfire areas with a Bushfire Attack Level (BAL) of 0 – FZ in accordance with AS 3959-2009. The Fletcher Sisalation® Multi Purpose Sarking is a reflective membrane designed to protect homes and buildings against radiant heat. Fletcher Foam Cell Multipurpose is a 3-in-1 multipurpose solution: insulation, thermal break and vapour barrier. Advanced thermal performance reflecting up to 95% radiant heat, allowing for cooler internal conditions in hot and humid climates. Suitable for use as a thermal break for steel framed constructions in accordance with NCC requirements. Appropriate for use in a range of commercial and residential building applications. Suitable for use in roofs with a Bushfire Attack Level (BAL) of 0 – 40; and walls with a BAL of 0 – FZ in accordance with AS 3959-2009. Maximum durability and increased tear resistance. Aids in the prevention of condensation. Allows for easy and rapid installation. 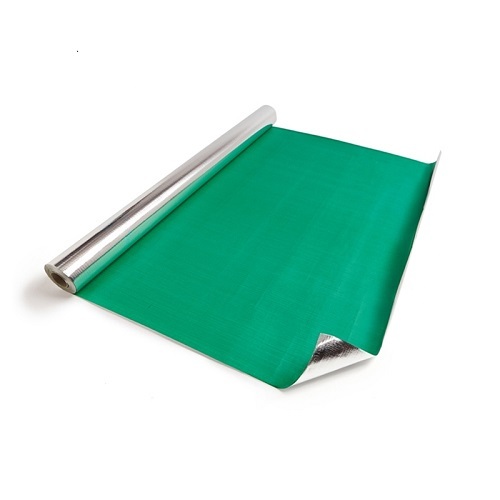 Includes a 150mm foil flap to maximise coverage and minimise taping. Incorporates an anti-glare coating on one side for added install safety. Thermoseal reflective foil roof sarking is a non-permeable, vapour barrier product designed to reduce the transmission of moisture into the house. Thermoseal contributes a reflective air gap R-Value to the roof system when positioned to adjacent to an inward or outward facing air cavity. It is recommended for use in warmer climates as it provides insulation against radiant heat and reduces the flow of water vapour from the outside environment into the home. 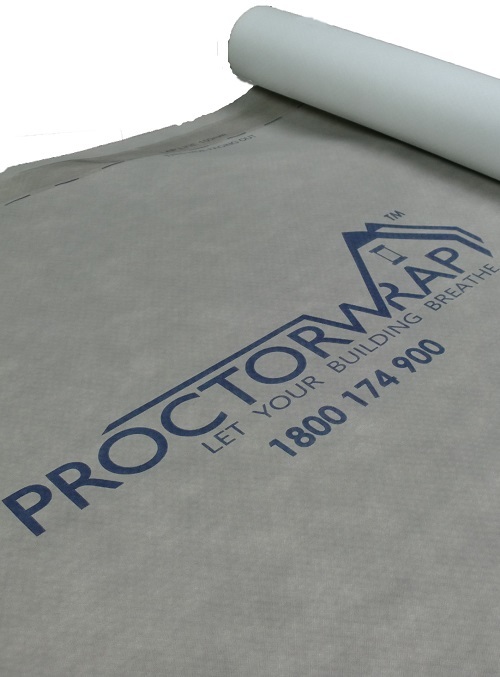 Enviroseal ProctorWrap roof sarking is a vapour permeable product that allows water vapour to pass through it, whilst preventing the entry of liquid water and dust from outside. When used in colder climates, it allows moisture in the air to pass through the membrane before condensing to water safely on the outside of the building frame where it does not damage the home. With a high initial grab and flexible carrier, the Enviroseal™ ProctorWrap™ SLS Duo Tape is a double sided aggressive adhesive tape. During construction, it is ideal for use as a positioning and temporary attachment method between vapour permeable construction wraps and building frames. Enviroseal™ ProctorWrap™ SLS Duo Tape is designed as a temporary attachment method and must be replaced by battens or cladding fasteners within a suitable time frame to prevent degradation by wind. Application of Enviroseal™ ProctorWrap™ SLS Plain Tape or Black Label Tape is recommended for all lap joints once the vapour permeable membrane is in place. The Enviroseal™ ProctorWrap™ SLS BL Tape is designed specifically for use on open joint facades, sealing around doors, windows and pipes. It can also be used as a repair tape for any accidental rips or tears that may occur to the membrane material. Even in high humidity areas, Enviroseal™ ProctorWrap™ SLS BL Tape provides an exceptionally high initial grab. 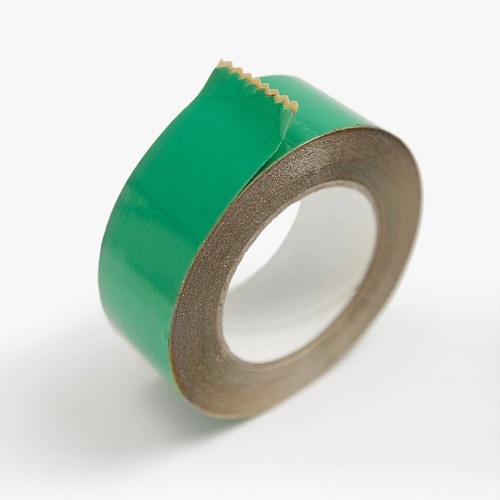 SLS Flexi tape is an extremely elastic butyl tape with a creped stretchable carrier and slit release liner for interior and exterior (behind cladding) air and watertight sealing. As the tape can be pre-folded along the slit liner and then easily adjusted to seal around penetrations, SLS Flexi is ideal for sealing water, air and wind tight penetrations. SLS Flexi is suitable for use in open joint façade applications with Black Label, but it should be noted that it is grey in colour and may become visible through the open façade joints in some applications. WHAT ARE THE BENEFITS OF SARKING? Acts as very effective barrier against dust which helps to reduce the amount of dust that enters your living space. Also, aids in the prevention debris entering your roof space where tile are cracked or damaged. Sarking also provides additional weather protection from rain entering your roof space during strong winds, heavy rain and serve storms. Helps to reduce the likelihood of condensation forming buy installing a Vapour permeable roof sarking product, this allows the water vapour to be drained away more effectively. When used in accordance with the guidelines, sarking can help to protect your roof space from moisture damage causing mould and stains to ceilings*. Will help to save money on energy costs as your in-home heating and cooling systems will operate more efficiently. The Sarking acts as a skin which reduces draughts from entering the roof space which improves the energy efficiency of your home as the insulation works more effectively. As a mandatory requirement for any property in a Bushfire Attack Level (BAL) rated at 12.5 through to 40. You can help to reduce greenhouse gas emissions with energy efficient insulation that allows you to reduce the amount of non-renewable energy resources that are consumed. Protects the building structure from the weather during construction and once the building has been completed, it helps to protect the timber frame from decaying as it reduces the amount of wind driven rain and dust. *All sarkings should be installed with a minimum of 150mm overlap to facilitate drainage. Insulation for residential and commercial properties is available in a variety of thermal resistant materials. Most effective when installed in the walls, flooring and roof space and ceilings the help to reduce heat loss during winter, whilst keeping your home cooler in summer by slowing the heat transfer from the roof or walls into the living areas. Insulation effectiveness is evaluated by its r-value, and it’s important to understand its value when choosing the most appropriate product. 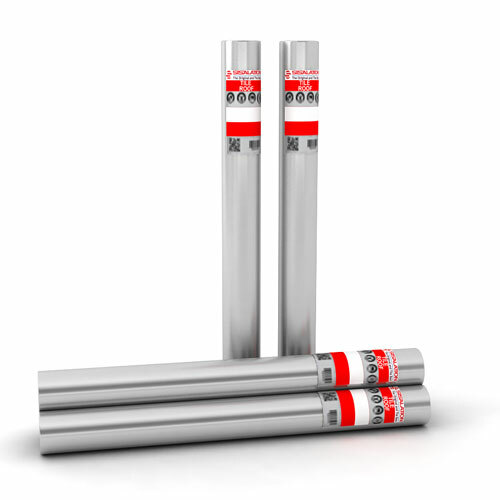 In simple terms the r-value is an indication of the thermal resistance properties of the product, ranging from between 1 and 4, the higher the number the greater the heat resistance. Higher rated products are more energy efficient, and when installed correctly your roof and ceiling insulation can save you up to 45% on heating and cooling, plus you can save an additional 20% on energy consumption when wall insulation is installed. There are many benefits to installing insulation. You will save money on energy cost, your house is more comfortable, warmer in winter, cooler in summer, it improves your fire safety, and helps to reduce greenhouse gas emissions. For residential roofs, it is best practice to install the roof sarking membrane with the anti-glare side facing up. The membrane should be rolled out horizantally, loosely laid over the rafters with a sag of no more than 40mm for 450mm spaced rafters. Where rafter spacing’s exceed 450mm the sag should increase proportionally. There should be an overlap of the sarking membrane by at least 50mm on joins when membrane tape is used, or a minimum of 150mm overlap when tape is not used. 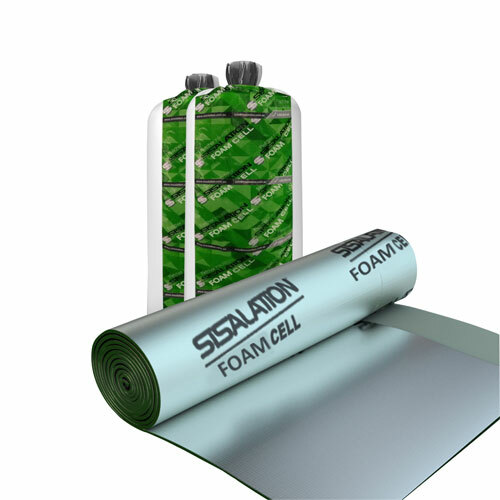 When used under tiles, Sisalation® Foam Cell must be installed under the battens, with a sag not exceeding 40mm, in accordance with AS/NZS 4200.2:1994. For commercial metal deck roofing, the roof sheet may be fixed by screwing through the Sisalation® pliable building membrane into the purlin. 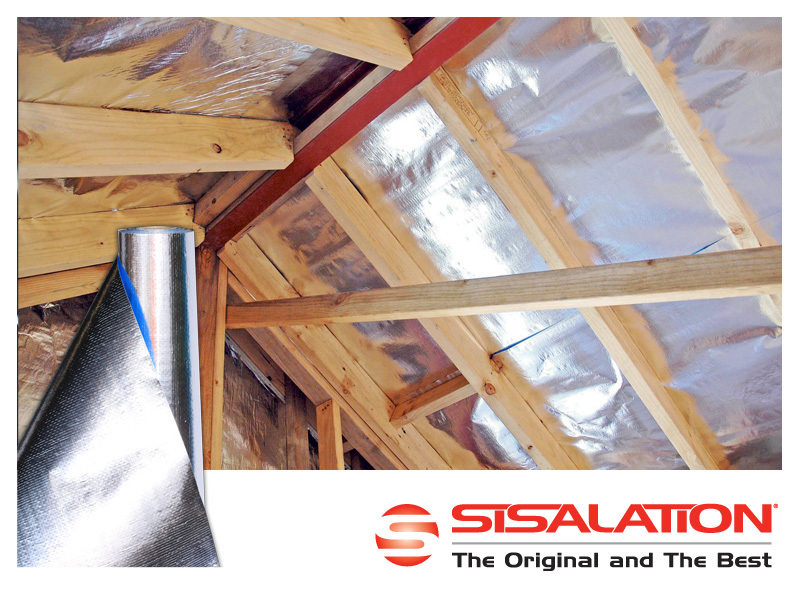 Note: Sisalation® pliable building membrane products should be installed in accordance with ‘AS/NZS 4200.2:1994 Pliable Building Membranes and Underlays - Installation Requirements for Metal Roofs, Tile Roofs and Walls’. Installing insulation in a new dwelling or adding insulation to an existing building can make a significant difference to the comfort and energy performance of a home, but it is vital that the insulation is installed correctly.